This week’s oil price rally started to unwind on Friday as a result of rising OPEC exports, increasing U.S. shale output and a rising rig count. The oil price rally continued into this week, although ran into trouble by Friday. Crude prices surged on the EIA report on Thursday showing a significant drawdown in crude inventories. Oil storage dipped by 6.3 million barrels and gasoline inventories fell by 3.7 million barrels. The drawdowns added a lot of positive momentum to the oil market and traders seized on those bullish factors. But by Friday the markets turned their eyes back on the news from OPEC showing a recent surge in oil exports. U.S. oil production also rebounded after dipping last week. Crude benchmarks sank on the news. BNEF: EV sales to capture majority of car market by 2040. There was no shortage of news in the electric vehicle sector this week. First Tesla (NYSE: TSLA) announced that its first Model 3 cars would be rolling off the assembly line this week, with large-scale production to ramp up by the end of the year. Then Volvo announced its decision to phase out gasoline and diesel vehicles. By 2019, the Swedish carmaker would only build electric and hybrid vehicles. In addition, Bloomberg New Energy Finance published new findings that predict that EVs will make up a majority of light-duty vehicle sales by 2040. The accelerated adoption of EVs will be possible because of the dramatic decline in battery costs. The end result will be the displacement of 8 million barrels oil demand per day by 2040. Super-spec rigs slash drilling times. Interest is growing in new drilling equipment that reduces the drilling times of oil wells. So-called super-spec rigs from companies like Canada-based Xtreme Drilling Corp. (TSE: XDC) have a larger load capacity and faster drilling systems, according to the Houston Chronicle. The result is that an oil well can be drilled in as little as 10 days or less, more than a week faster than the average drilling time in 2010. 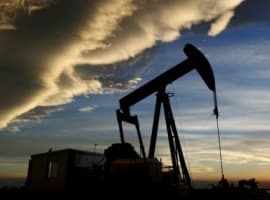 That will allow companies to drill more wells in a shorter timeframe. The super-spec drilling rigs can cost 20 percent more than the average rig, but with bookings are up, oil producers apparently feel that the premium is worth it. Yergin: U.S. shale, Libya and Nigeria preventing oil price rally. Renowned oil historian Daniel Yergin says that two major things are keeping a lid on oil prices. The lower breakeven costs for U.S. shale drillers is allowing supply to come back online. Also, new supply from OPEC members Libya and Nigeria is offsetting cuts elsewhere. "It looked like the world was making progress toward rebalancing, but (these) two things have really pushed out rebalancing," Yergin told CNBC. 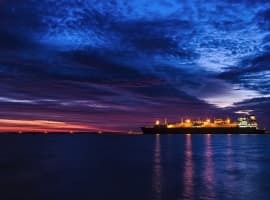 China buying U.S. crude oil. U.S. oil exports are higher than they have been in recent memory and a growing volume of American crude is making its way to China. China has imported an average of 100,000 barrels per day from the U.S. for much of 2017, with imports jumping to 180,000 bpd in May. 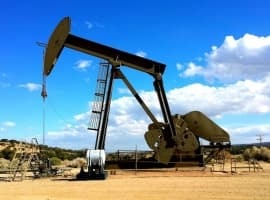 U.S. to accelerate drilling on public lands. The Trump administration is planning to step up drilling activity on federally-controlled land. Secretary of Interior Ryan Zinke signed an order calling for more lease sales, offering up more tracts on a faster timetable to the industry. "I'm directing the [Bureau of Land Management] to conduct quarterly lease sales and address these permitting issues," Zinke said in a statement, referring to lengthy permitting times. Tesla wins grid storage contract in Australia. Tesla won a contract in South Australia to install the world’s largest energy storage project. The 100-megawatt battery will be closely watched as a test case for the viability of large-scale energy storage combined with renewable energy. The battery will back up a wind farm, and will have the capacity to provide 30,000 homes with electricity. Tesla CEO Elon Musk, in characteristic style, garnered a lot of attention on the project by promising to have it delivered within 100 days or he would offer it for free.